Here at Small Square Services, we spend a great deal of time talking about Microsoft Dynamics NAV 2009 Role Tailored Client. However, many NAV users are still using what is now called the Classic Client and may not know what this RTC product is all about. In this post, we’re going to give a basic overview of the Role Tailored Client and the parts that it contains. The History buttons and the Address Bar (also known as the Breadcrumb Bar). 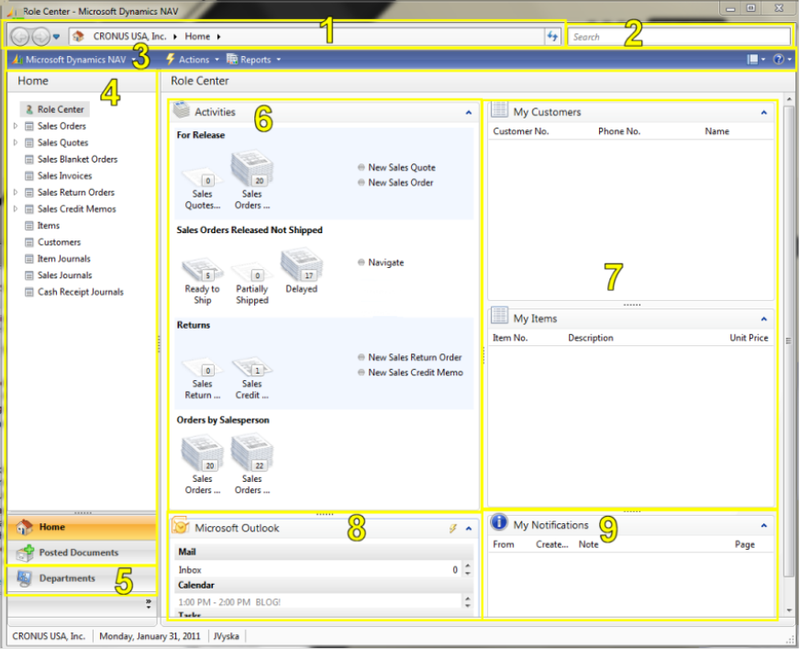 The Menu Bar, including the Microsoft Dynamics NAV menu, the Actions Menu, the Reports Menu, the Customize Button, and the Help button. The Navigation Pane, which is now more along the lines of a catalog of lists (and Saved Filters). The Activities panel for a given Role – more on this shortly. 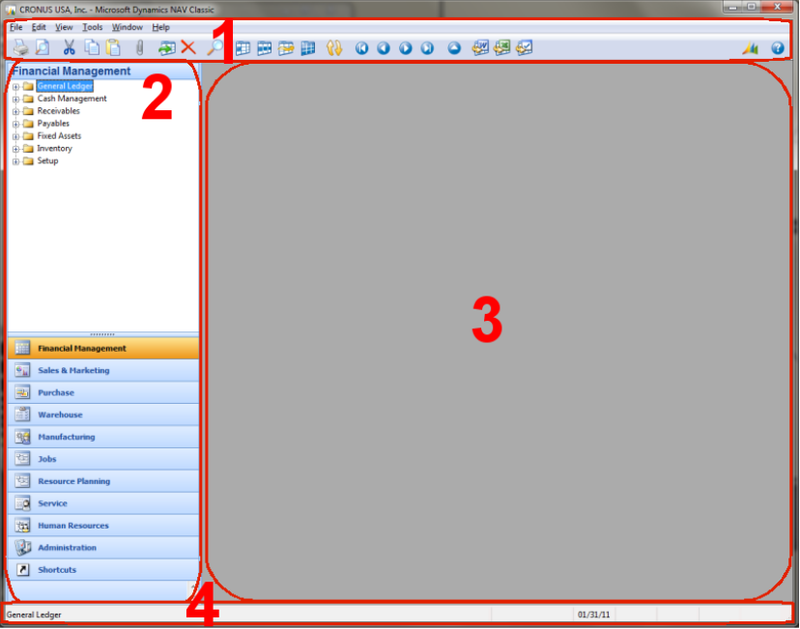 The Outlook panel (covered RTC Outlook Panel). The Notifications panel (covered in The Power of Notes and Notifications). (Unmarked) The Status Bar. Company Name and Workdate are not only displayed, but you can click on them to change company or date now. As one might expect, within a Cue Group, you find one or more Cues. Each Cue has a visual component (the varying stack size) for an easy glance indicator, as well as a quantity indicator and a description. Each Cue Group also can have related Actions. 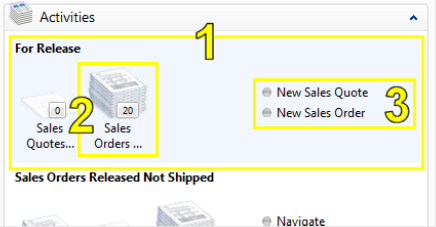 In this Cue Group, we can jump straight to making a New Sales Quote or New Sales Order. In Part 2, we’ll talk about how Lists and Cards have changed for the better. Featured Posts, NAV Usage. permalink.